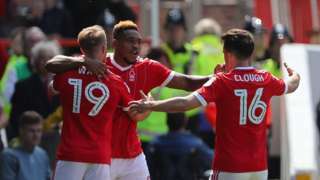 Britt Assombalonga scores twice as Nottingham Forest cruise past Ipswich to avoid relegation on goal difference. The team here is about to shut up shop and head home, but before we go, we'd like to thank you for your company during the week. It's been a great day for the Conservatives, who've increased the number of county councillors at Endeavour House, but disappointing for UKIP, who will no longer be represented there. Scroll down to get more details on the elections, and other stories that have been making the news during the day. Have a great weekend, and we'll see you from 08:00 on Monday. These elections have seen UKIP wiped off the county council political map. Most surprisingly, they lost every single seat in Essex, an area that fostered their growth and of course, until recently boasted their only MP. In all they lost 48 seats across the east and now have no representation across its six counties. The Conservatives appear to be the beneficiary. They have regained control of Cambridgeshire, Norfolk and Suffolk and strengthened their grip on Essex, Northamptonshire and Hertfordshire. Labour held on in some of its heartland seats but suffered elsewhere, particularly in Stevenage and Harlow, where the Conservatives made gains. It was a mixed picture for the Liberal Democrats who lost seats on Essex, Suffolk and Northamptonshire but they made some gains from the Conservatives in Norfolk. The Green Party lost their stronghold in Norwich but made a gain in Suffolk where they now hold three county council seats. The vote share from yesterday's local elections confirms that across the east the Conservatives are once again the dominant party. With all the votes counted, the Tories share of the vote ranged from 43% in Suffolk and Essex to a staggering 51% in Northamptonshire. The national average appears to be about 38%. Labour saw a small surge in support in its traditional heartlands and its average share across the region was 13.7%. But that's way below the national average of 27% and shows how little support the party has in our region. In Suffolk, the Conservative party gained 112,778 votes in yesterday's local elections - 45.65% of the vote. It's higher than the national projected vote share for the Tories, which stands at 38%. The projected national share figures are what the share of the vote would be if all parts of Britain had local elections and had voted in the same way as Thursday's English County Council elections. This evening it will be staying mostly fine with some areas of cloud at times. One or two spots of drizzle possible overnight, but staying mild. Winds will be moderate, with lows of 7C (45F). It will be a rather cloudy start to the day tomorrow. Generally cloudier than today with some brighter spells, but feeling cooler. Winds light to moderate and highs of 10C (50F) on the coast and 14C (57F) inland. There's more at BBC Weather. 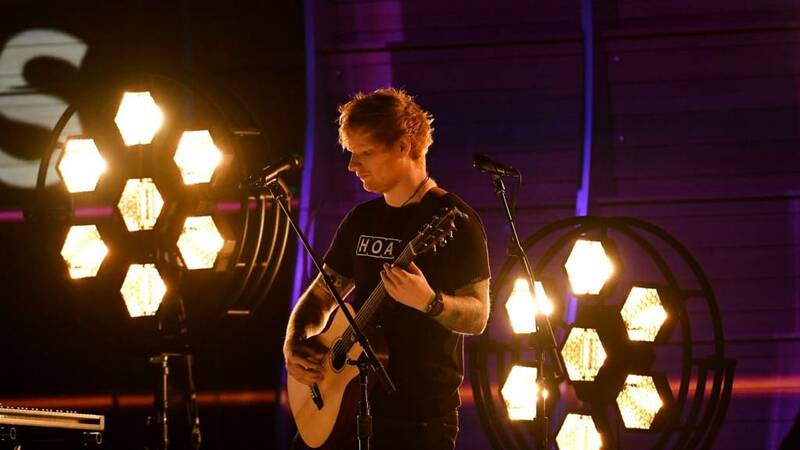 Video caption: Ed Sheeran on the power of songwriting.Ed Sheeran on the power of songwriting. Figures from Suffolk County Council show there was a turnout of 44.19% (247,073) for this year's elections. Beccles achieved the highest figures, with a massive 80.63% (9,455) turn-out, followed by St Margaret's & Westgate at 77.85% (11,852), and Felixstowe Coastal at 74.18% (11,432). Residents of Newmarket and Red Lodge were the most reluctant to get involved, with 25.65% of eligible voters (2,384) marking a cross in the box. Suffolk County Council has apologised after its local elections website crashed, due to unprecedented demand. It may be due to the turnout, which was higher than expected at just over 44%. We'll bring you more details on that shortly. The areas being searched at the landfill site for missing RAF Honington serviceman Corrie Mckeague are to be expanded, it has been announced. Officers say they've found material that indicates they are searching in the right area. But towards the edges of the area they noticed the waste may have shifted. When work gets under way again next week at the site at Milton in Cambridgeshire, the area being searched will take into account the possibility of the waste having moved. Police say the work has been reviewed while the search has been taking place. Inquiries have also continued away from the site, gathering further information about Corrie's lifestyle and background. 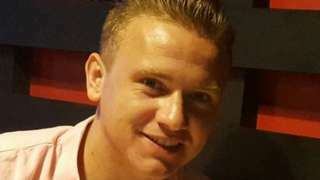 Police searching for Corrie Mckeague at a landfill site said the hunt had so far cost more than £1m. Police say they have completed work on searching the area at the landfill site at Milton for missing RAF Honington serviceman Corrie Mckeague and are now expanding the search parameters. We'll bring you more details shortly. It's been a good day for the Conservatives, and a poor day for UKIP. The Green Party has lost the seat of its leader, Mark Ereira Guyer, but has won a couple of previously Conservative seats. The 50 seats won by the Conservatives are well over the 37 they needed to have control of the council. Labour's group has decreased from 15 to 9. There are five Liberal Democrat councillors, three Green and three Independent. Labour and Co-operative have two seats, as do Conservative and Unionist. West Suffolk Independents have one. Know any young children who might be interested in having a go at cricket? Now's the time to get them involved with the England & Wales Cricket Board's (ECB) grassroots programme for five- to eight-year-olds called All Stars Cricket. All Stars Cricket is an eight-week course that is being introduced in May through local cricket clubs and centres, offering youngsters a first experience of the sport. Sign up here and children will receive a backpack of cricket gear. The Conservatives have seen the number of seats they hold at Suffolk County Council increase from 37 to 50, now that all the votes have been counted. Labour have dropped from 15 to nine, and UKIP now have no councillors at all. We'll bring you a map showing you the areas controlled by the different parties next. The painting on the right, we mean left, wait... what?...Kidding aside, Ed's first ever portrait - painted by Belfast-based artist Colin Davidson - was acquired by the National Portrait Gallery. Ed sat for the artist for three hours in 2015, during which Davidson made twenty drawings and took reference photographs. Colin said: ‘When painting a portrait I am looking for the moment when the person is almost unaware of me being there and I feel I got it with Ed. "I deliberately didn’t want Ed to perform and that was odd for him." We're sure we've seen his painting before? After an unconfirmed report at the start of the week, the One Direction star appeared to confirm the name of their firstborn after he was publicly congratulated by the child's namesake.. The band spent a couple of weeks teasing fans, first with billboards and then with cryptic video messages. On Wednesday, the band announced the release of OKNOTOK, a re-issue of their seminal 1997 album - to mark it's 20 birthday. Ed O'Brien spoke to 6 Music to talk about why Lift is only just seeing the light of day. Jonathan Schwatz, who pleaded guilty to embezzling nearly $5m (£3.9m) from Alanis Morissette, is to be jailed for six years, a judge in the US ruled. The former business manager pleaded guilty to charges of wire fraud and filing a false tax return in January. Alanis - who appeared at a hearing in California - told the court her ability to trust "has been shaken to the core" because of Schwartz. She added he "not only stole $5m in cash from me, he stole a dream". Last month, her disgraced ex-manager apologised and told The Hollywood Reporter that his behaviour was driven by a gambling addiction. Now, it could just have been a magnanimous gesture from a bigger star but it seems that Adele is a genuine fan of the grime artist and showed it by, not only showing up for his three-night residency at Brixton Academy in London, but rapping along too. And, we were pleased to find out, the love is reciprocated. Former Ipswich Town captain Mick Mills believes the club needs to clarify manager Mick McCarthy's position as soon as possible. After having several chats over the past few weeks, McCarthy and club owner Marcus Evans are set to have a more formal get-together soon after the season ends on Sunday. "The statement has got to be made as quickly as possible," Mills told BBC Suffolk. "If there is to be a change of manager you've got to get a new man in as quickly as possible because the whole playing squad is in need of a revamp. "Even if there's no change at management level, I think Mick McCarthy will decide that he's got to freshen this squad up. He must feel this squad of players has gone as far as it can." A 10-year-old boy who has only been doing ballet for two years has won a full scholarship to the Elmhurst Ballet School in Birmingham. A man has been arrested in connection with a dangerous driving incident in Stowmarket on Tuesday, in which a police pursuit of a white Renault Clio ended when the car mounted a pavement and entered a walkway, leading to a pedestrian having to take evasive action. The 20-year-old from the town was arrested on suspicion of dangerous driving and released pending further inquiries.